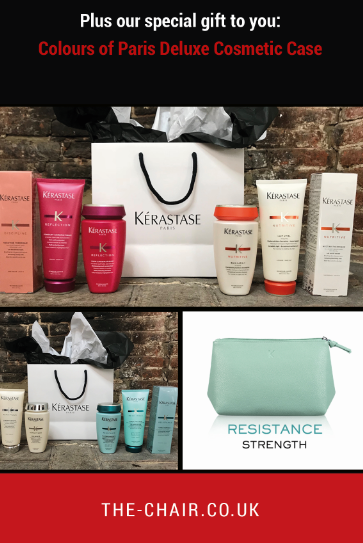 30% off Kerastase packs- Now just £38. Limited stock available. 24th and 25th November only. Buy in salon or call to reserve. Choose from five specialist packs for £38. Including full size shampoo, conditioner and styling product. The Chair Elixir pack for £38.50. Including full size Elixir Ultimate Oil and a travel size shampoo and conditioner. Plus a special gift: Colours of Paris Deluxe Cosmetic Case. To claim your Black Friday deals contact The Chair on- 01227 455545 or head into the salon on The Borough.